“This important article from one of the most acclaimed institutions of its kind in the world provides a major new addition to the technical literature indicating strong reasons for concern about electromagnetic radiation from base stations or cell towers,” stated Editor in Chief of Environmental Research Jose Domingo PhD, Professor of Toxicology, School of Medicine at Reus University, Catalonia, Spain. “The US NTP results combined now with the Ramazzini study, reinforce human studies from our team and others providing clear evidence that RF radiation causes acoustic neuromaa (vestibular schwannoma) and gliomas, and should be classified carcinogenic to humans,” stated Lennart Hardell MD, PhD, physician-epidemiologist with the Department of Oncology, University Hospital, Örebro, Sweden, who has published extensively on environmental causes of cancer including Agent Orange, pesticides and cell phone radiofrequency radiation. “The evidence indicating wireless is carcinogenic has increased and can no longer be ignored,” stated University of Toronto Dalla Lana School of Public Health Professor Emeritus Anthony B. Miller MD, Member of the Royal Colleges of Physicians of Canada and the UK, and Senior Medical Advisor to EHT who is also a long-term advisor to the World Health Organization. Ramazzini Institute investigators have completed nearly 500 cancer bioassays on more than 200 compounds, and their study design is unique in that animals are allowed to live until their natural deaths in order to allow detection of late-developing tumors. Eighty percent of all human cancers are late-developing, occurring in humans after 60 years of age. This longer observation period has allowed the RI to detect such later-occurring tumors for a number of chemicals, and their published research includes studies of benzene, xylenes, mancozeb, formaldehyde and vinyl chloride. The Ramazzini research results come in the wake of similar findings from the US National Toxicology Program (NTP) large-scale experimental studies on cell phone radiation. Both studies found statistically significant increases in the development of the same type of very rare and highly malignant tumor in the heart of male rats—schwannomas. “More than a dozen countries recommend reducing radiofrequency radiation exposure to children, and countries such as China, Italy, India and Russia have far more stringent cell tower radiation regulations in place when compared to the United States FCC. However, this study provides scientific evidence that governments can use to take even further action,” stated Theodora Scarato, Executive Director of EHT. The article is “Report of final results regarding brain and heart tumors in Sprague-Dawley rats exposed from prenatal life until natural death to mobile phone radiofrequency field representative of a 1.8 GHz base station environmental emission” by L. Falcioni, L. Bua, E.Tibaldi, M. Lauriola, L. De Angelis, F. Gnudi, D. Mandrioli, M. Manservigi, F. Manservisi, I. Manzoli, I. Menghetti, R. Montella, S. Panzacchi, D. Sgargi, V. Strollo, A.Vornoli, F. Belpoggi (doi.org/10.1016/j.envres.2018.01.037). It appears in Environmental Research published by Elsevier. 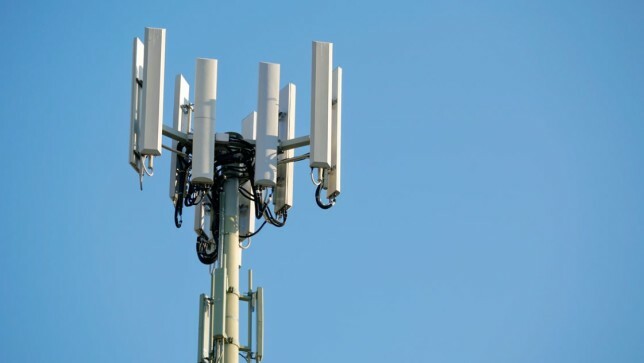 What about all the businesses who collect handsome fees from cell phone companies to host cell tower antennas on the roofs of their buildings where their employees are exposed repetitiously for 40+hrs/wk to these dangerous levels or rf radiation? Businesses employing pregnant women & young people of reproductive age?!?! How is this not the biggest occupational hazard of the 21st century?!? !